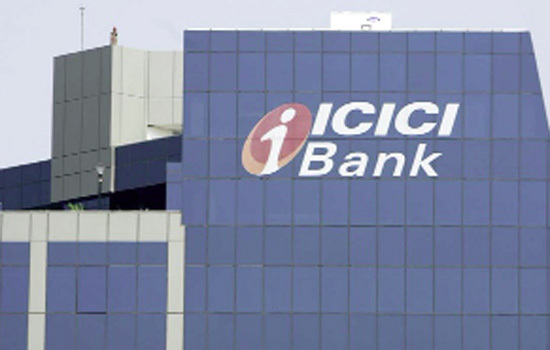 Udaipur: ICICI Bank announced the launch of two instantaneous home loan facilities, both are first-of-its kind in the industry. The first facility enables customers to get final sanction letter for new home loans instantaneously, while the second service allows existing customers to take a top-up loan and instantly receive the money in their account in a fully digital manner. The first service - called ‘Instant Home Loan’, enables lakhs of pre-approved salaried customers of the Bank to avail final sanction letter digitally & instantly for loans uptoRs 1 crore for a tenure of upto 30 years (based on the age of the customer) using the Bank’s internet banking facility. This facility significantly improves the customers’ convenience as they no longer require to visit a branch to submit physical documents like application form, KYC and income documents. It is a marked improvement on the existing practice of customers getting provisional sanctions of home loans from lenders on the basis of their self-declared information. The final sanction letter, which is delivered instantly from the Bank to the customer’s registered email id, is valid for six months. For the disbursal of the home loan, the borrower needs to visit the nearest branch or contact the assigned relationship manager with the sanction letter and the documents of the home he/she wants to purchase. The second initiative, ‘Insta Top Up Loan’, helps existing home loan customers of the Bank to avail the facility of topping up his/her loan instantaneously uptoRs 20 lakh for a tenure upto 10 years, in a completely digital and paperless manner. The facility helps the customers to get the top up amount disbursed immediately in their account as compared to the industry practice of approving and disbursing a top-up home loan in a few working days. Talking about the initiative, Mr. AnupBagchi, Executive Director, ICICI Bank said, “ICICI Bank has catalysed the growth of retail lending in the country by making home, auto and other retail loans widely accessible and affordable. As a result of our continued endeavor, we have the largest mortgage portfolio among private sector banks in the country with the lowest delinquency levels. we are now offering home loans at over 1500 locations, the maximum among private sector banks. In fact, our growth in disbursements in these markets is growing at a CAGR of over 20%, as compared to the industry average of 12%. The instant home loan facilities are powered by the Bank’s efforts to complete the entire credit assessment of customers digitally, using data algorithms. The Bank examines the credit worthiness and eligibility of existing customers, by using an intelligent combination of multiple financial parameters such as credit bureau checks, salary credits, average balances, repayment track among others. Based on the credit score of the customer, the Bank provides a pre-approved new home loan or top-up home loan offer. 2.Select the amount and tenure required > pay processing fee as displayed.